Of all the ways you can cook your meat, making ribs is one of your most tasty choices. “Ribs,” as we tend to think of them, generally refers to the part of a meat chop that is less meaty, which is cooked as a slab. The meat can come from any kind of animal. 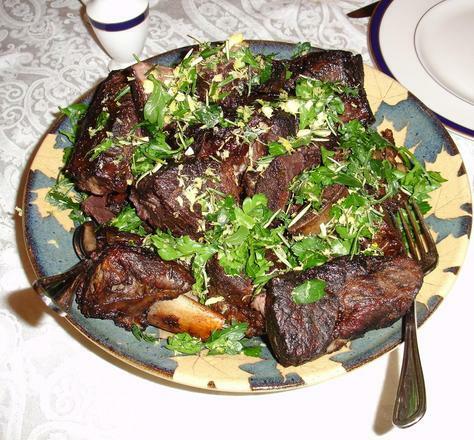 However, in the US, the term usually refers to barbecued pork or beef ribs. To look at the history of ribs, we need to look at the history of the barbecue. (Fun fact: the word “barbecue” technically refers to cooking over an indirect flame for hours, rather than simply grilling something.) Around the late fifteenth century, the people of the Caribbean were using green wood to prevent their food from burning while they cooked it over an indirect flame. In due time, barbecuing spread out into Latin America as well as northward, to the southern colonies. Initially, the Southerners made their ribs from pork, since pigs were a lower maintenance investment than their bovine counterparts: you don't need big spaces or lots of food to raise a pig. The pigs provided the Southerners with leaner meat, so they cooked the meat for a long time on the barbecue to tenderize it properly. In the process, they started a new American culinary classic. One ribs recipe you can make is ribs that are barbecued in the oven. To make them, preheat your oven to 300 degrees. Combine salt, pepper, and rib rub (you can buy one at the store or make your own) together to make the seasoning. Spread the seasoning on two slabs of ribs; make sure you coat it well on both sides. Fold a large piece of aluminum foil over the ribs, sealing them tightly. Put the ribs in the oven and bake it for two and a half or three hours, until the ribs are tender. Next, when you take the ribs out, coat the ribs with barbecue sauce on their meaty sides. Put them back in the oven for about twenty minutes; the sauce should be thicker and slightly brown. Then, call everyone to the table your ribs are now ready to be enjoyed.